Her work as a public speaker, consultant, and author has brought Dr. Frankel to countries around the globe and provided her with the privilege of serving diverse clients such as The Walt Disney Company, Amgen, The World Bank, The Indonesia Women’s Leadership Summit, Santos Energy, Miller Brewing Company, Australian Institute of Management, McKinsey & Company, Inc., Lockheed Martin, Cedars-Sinai Medical Center, the Los Angeles County Fire Department, ARCO Indonesia, Ernst & Young, Children’s Hospital of Los Angeles, Belgium Women’s Conference, Morgan Stanley, AlliedSignal Aerospace, BP, Warner Bros., Australia Human Resources Institute, and Northrop Grumman. She also provides pro bono consultation and workshops to nonprofit community agencies. 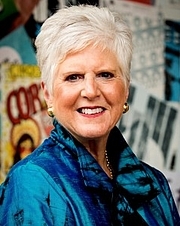 Dr. Frankel earned her doctorate in Counseling Psychology from the University of Southern California and received an honorary doctorate of humane letters from Phillips Graduate Institute. Although she is proud of her many accomplishments, none so much as founding two nonprofit organizations, MOSTE: Motivating Our Students through Experience and Bloom Again Foundation: Sowing Seeds of Health and Hope. Her work with women and girls was recognized through Maybelline New York’s “Empowerment through Education” award, the Los Angeles County’s Woman of the Year Award in business and industry, and a Presidential Medal from SUNY Oswego. Lois P. Frankel is currently considered a "single author." If one or more works are by a distinct, homonymous authors, go ahead and split the author. Lois P. Frankel is composed of 5 names. You can examine and separate out names.